Select Option Yes, add it to my order. 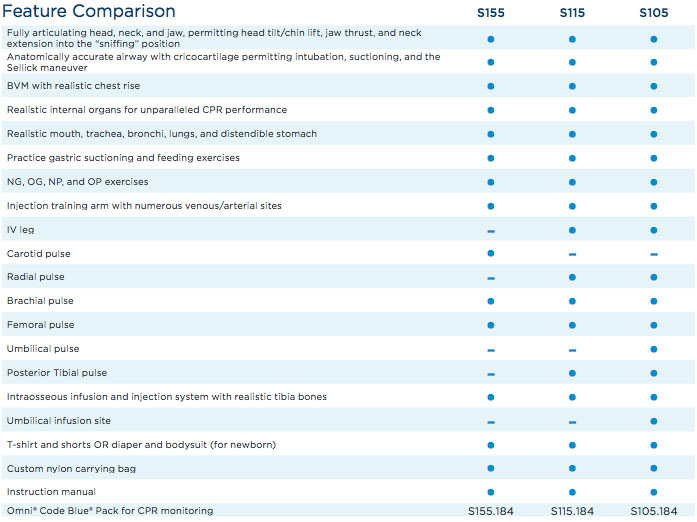 [Add $745.00] No, thanks. 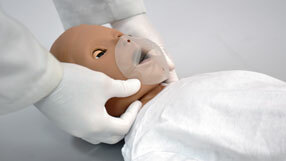 The Mike® and Michelle® five (5) year PEDI simulator includes an intubatable airway, an injection training arm, an intraosseous injection leg, and appropriate arterial/venous simulation. 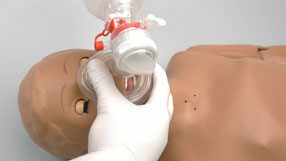 This manikin is a must for your pediatric ALS training program. Eyes open and close in realistic eye sockets. Injection arm with numerous venous/arterial sites. Pulse sites Carotid, brachial, femoral, posterior tibial pulse. 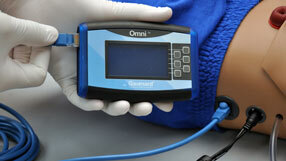 Omni™ Code Blue® pack for CPR monitoring. 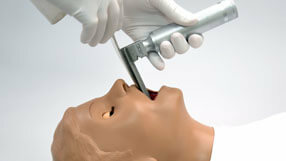 Anatomically accurate airway with cricocartilage permitting intubation, suctioning, and the Sellick maneuver. Fully articulating Articulating head, neck, and jaw, permits head tilt/chin lift, jaw thrust, and neck extension into the “sniffing” position. 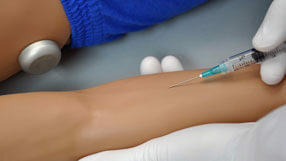 Intraosseous infusion and injection system with realistic tibia bones. Allows infusion of fluids, blood and/or drugs directly into the bone marrow of the tibia. Box dimensions: 47" x 18" x 9"